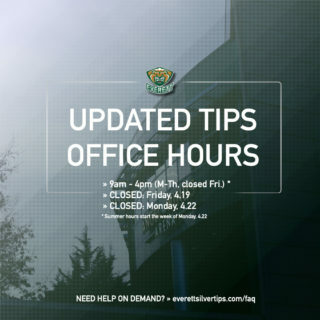 The Silvertips host the Kootenay Ice in the only meeting between the two teams this season … the Silvertips are currently in the middle of a seven-game homestand (3-1-0-0) … the Silvertips entered Wednesday ranked #7 in the CHL Top 10 rankings … the Silvertips carry a record of 11-2-0-0 at home this season and hold first place in the Western Conference (tied) and U.S. Division … the Silvertips are 7-1-2 in the month of November … they are 3-1-0-0 vs. teams from the Eastern Conference … the Silvertips defeated Prince George, 3-0 in their last game on Saturday … Kootenay was defeated by Edmonton in its last game, 5-3 on Saturday. Tonight is the only meeting this season between the Silvertips and Kootenay Ice … the Silvertips hold a record of 7-8-1-1-0 all-time against Kootenay … their last meeting took place in Cranbrook, Nov. 17, 2015 in a 2-0 Silvertips victory (Carter Hart had 16 saves) … the Silvertips last meeting with Kootenay, in Everett took place on Nov. 30, 2014 (4-3 OT loss) … the Silvertips carry a 3-0-1-0 mark against Kootenay in the last four head-to-head meetings. 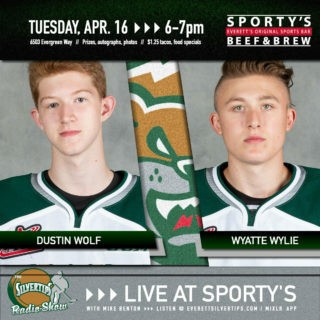 BLAST OFF: The Silvertips are three points (40 points) behind top record in the WHL, are tied for second in WHL win percentage (.800), and are in first place in the U.S. Division … they are 10-1-3 in the last 14 games … they are 11-2-0 at home and 7-1-4 on the road … by going 11-1-3 in a recent 15 game span (eight on the road), they outscored their opposition, 50-28 … they have allowed two goals or less in 11 of the last 12 games. 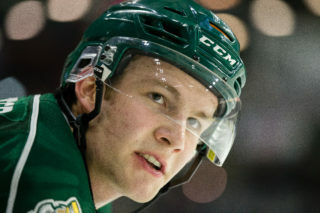 FIRST THING’S FIRST: The Silvertips have scored the first goal of the game in 19 of 25 games this season … when scoring first, the Silvertips are 15-1-3 this season … the Silvertips last scored first in Saturday’s 3-0 win over Prince George. HOT STREAKS: Forward Dominic Zwerger had a ten game point streak (longest in the WHL this season) … he owns 13 points in the last 11 games … goaltender Carter Hart is 8-1-2 in the last 12 games and has allowed just one goal or less in seven of those appearances … entering Wednesday, he has not allowed a goal for 129:25 … Patrick Bajkov has 14 points in the last 11 games … the Silvertips have 20 players who are +1 this season, or higher. 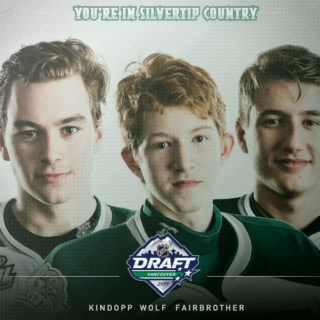 Goaltender Carter Hart – CHL Goaltender of the Year, first goaltender selected in the 2016 NHL Entry Draft … named WHL Goaltender of the Week on Nov. 21 … was named to the CHL/NHL Prospects Game in 2015-16 in Vancouver (Team Orr) … named Silvertips MVP for the 2015-16 season … during the month of November (2015) he was 9-2-0-1 and led the league with a 1.16 goals-against-average, in addition to a .951 save percentage and four shutouts … he is coming off CHL Goaltender of the Week honors and his second straight WHL Goaltender of the Week award .. he is 66-32-4-8 with 13 shutouts in 114 career WHL regular season appearances. Kevin Constantine is in his eighth season overall as head coach of the Silvertips, ranking as the club’s all-time leader in wins (300) and posting a record of 300-169-60 in his Everett career. 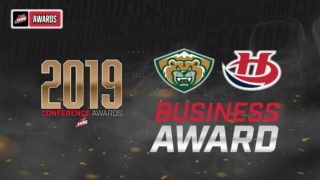 All four of the Silvertips’ division titles have been achieved with Constantine as head coach, most recently in 2014-15 which was Everett’s first since 2006-07. He was the recipient of the Dunc McCallum Trophy (WHL Coach of the Year) in 2003-04, when the Silvertips broke nearly every WHL expansion record and became the first expansion team in WHL history to win a division title. Constantine has coached in the NHL over the course of seven seasons with San Jose, Pittsburgh and New Jersey, helping guide all three clubs to an appearance in the Stanley Cup Playoffs.